The nuns are always at home. 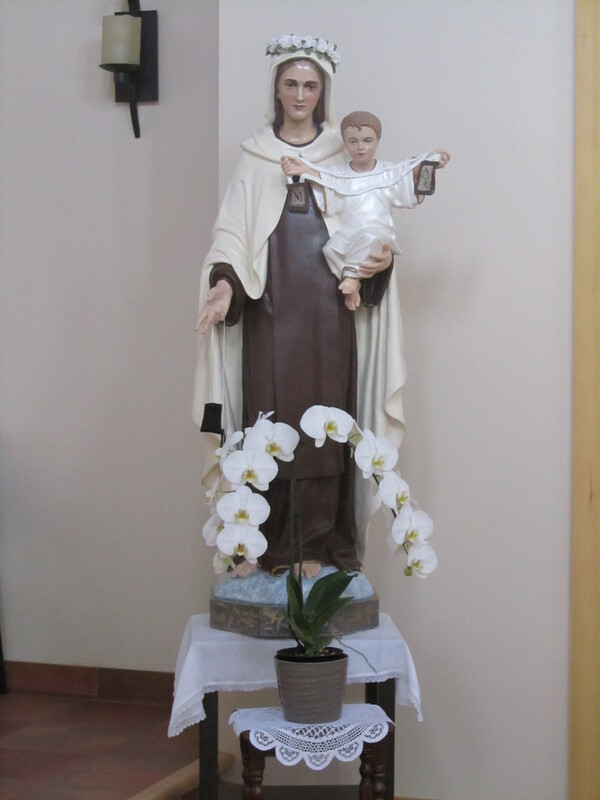 Under the tender guidance and protection of Our Lady of Mount Carmel, a Carmelite monastery radiates the joy and peace of Nazareth in the simple monastic life based upon the liturgical seasons as each day quietly unfolds itself. Clad in the holy habit of Carmel, the Carmelites of Armstrong, B.C., spend their day in prayer – which is the center and purpose of Carmelite life. Enclosure, solitude and silence all help to create an atmosphere for this prayer life where they may listen to the voice of Christ and grow in union with Him. Apart from the Divine Office recited in choir at stipulated times throughout the day, thus sanctifying and offering to God their entire day and night, each nun spends two hours in mental prayer. Their endeavor to live constantly in God’s presence, draw its inspiration from Sacred Scripture and the liturgy of the mass. Belonging to a mendicant Order and having to support themselves, they work hard and largely rely upon Divine Providence to meet their needs. They engage every day in manual and creative work, in silence and solitude which is balanced by two hours of recreation. During the summer season, they spend many hours working in their garden to raise vegetables for winter use, and throughout the year, care for the llamas and alpacas who provide them with fibre for knitting. One must not forget either the ordinary and sometimes not so simple tasks necessary to run a household. Simplicity, joy, love, acceptance, sharing and concern among all the sisters characterize their life together as a strong united loving family living “around Jesus, and bound together by His love”. As part of a long contemplative tradition in the Church, the Carmelite way of life centers on the deepest aspect of the person, their capacity for union with God. Growth in divine intimacy is at the heart of Carmelite life and faith in their mission within the Church strengthens their dedication.